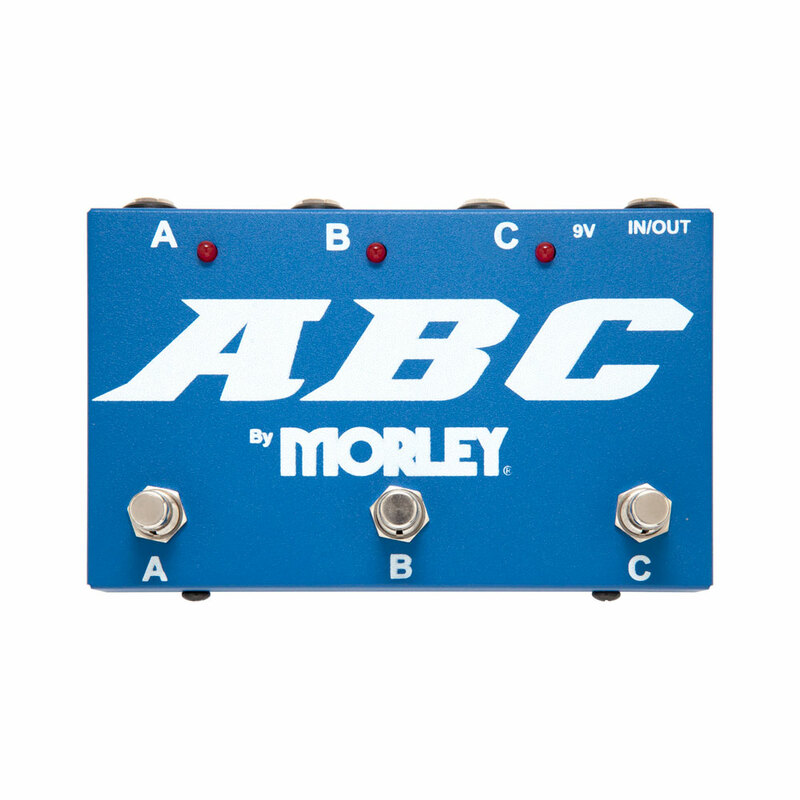 The Morley ABC Selector / Combiner Switch lets you switch between three inputs to one output (e.g. three guitars in to one amp), or one input to three outputs (e.g. one guitar in to three amps). Each channel can be turned on and off via its own footswitch. The pedal is passive and can switch between channels with no power requirements, however if you want to take advantage of the LED channel indicators you will need to use either a 9V battery or power adapter, there is a quick clip batter door on the rear allowing easy battery installation.